We recently replaced this broken torque master spring system for a customer. 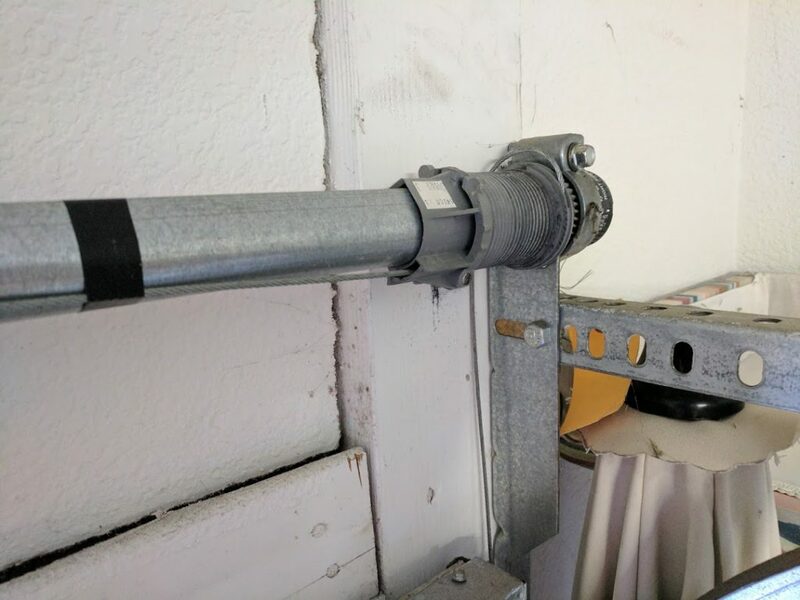 We see time and again the failing of these torque master systems a few years after they are installed. We recommend installing a standard torsion spring system, as the life of this spring system is much longer. 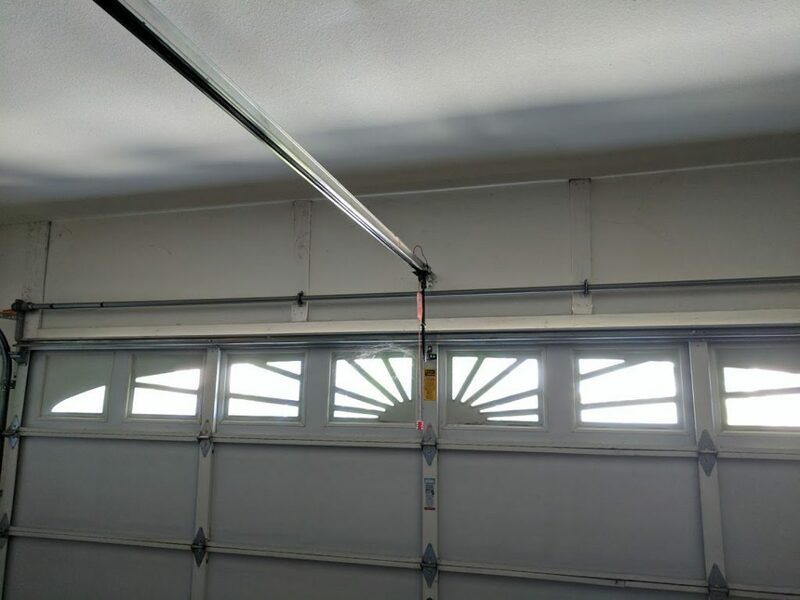 Torsion springs do a better job of lifting the weight of your garage door more easily than a torque master spring. Why is this good? 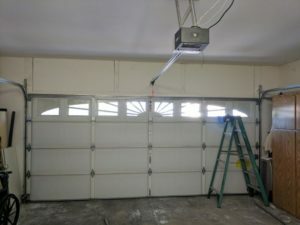 It doesn’t wear as much on your garage door opener, which will extend the operating life of your opener. 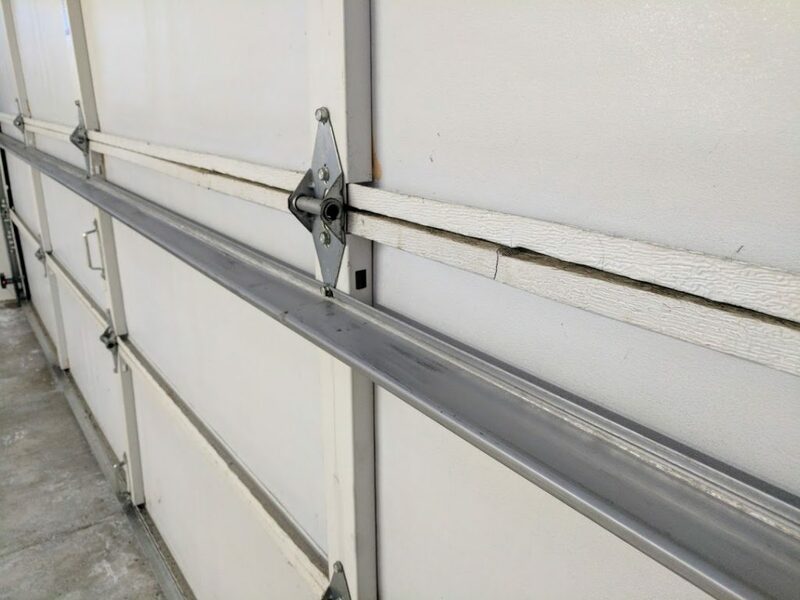 If the correct sized springs are installed properly, the garage door essentially weighs less than it actually does when it is in motion. Which of course, is less taxing on your opener. 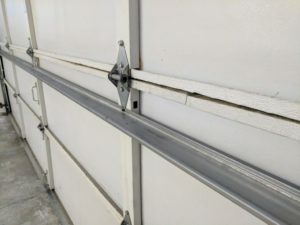 What is a balanced garage door? 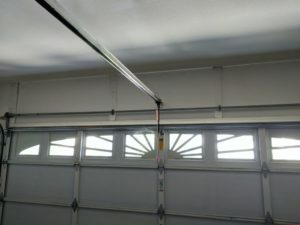 A balanced garage door is a door that weighs “less” consistently through the opening and closing track. The spring system used is essential in this working as it should. So what’s wrong with a torque master system? Torque master springs are made by Wayne Dalton. Most of the parts are made of plastic. Plastic is notorious for breaking easily or warping in extreme temperatures. 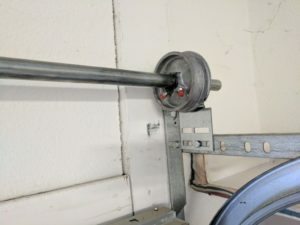 When we install a standard torsion spring system, we use metal parts, which helps the entire system last longer. 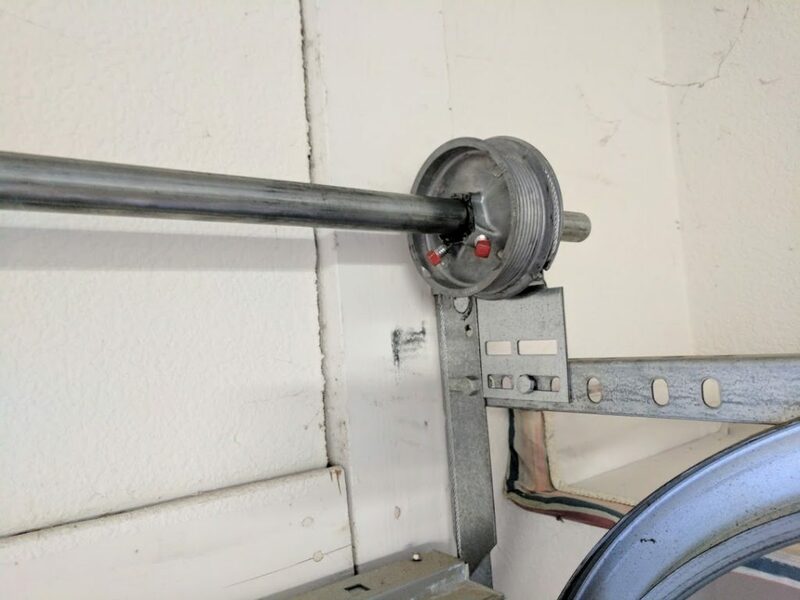 In addition to the broken torque master spring, and installing a brand new standard torsion spring system, we also fixed the customer’s cracked panel. We added a strut to reinforce the cracked panel. 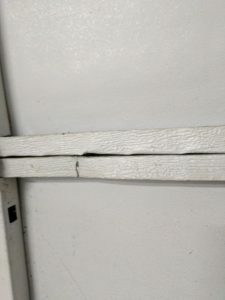 There are 2 other options for repair when you have a cracked panel: replacing the panel, or replacing the entire door. The strut is a great temporary option and is also very affordable. The strut helps to reinforce the panel and keep it from cracking further. 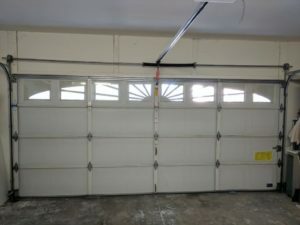 Replacing the panel is the second cheapest option, and only an option if your garage door is still being manufactured. Otherwise, there is no panel to purchase to replace. 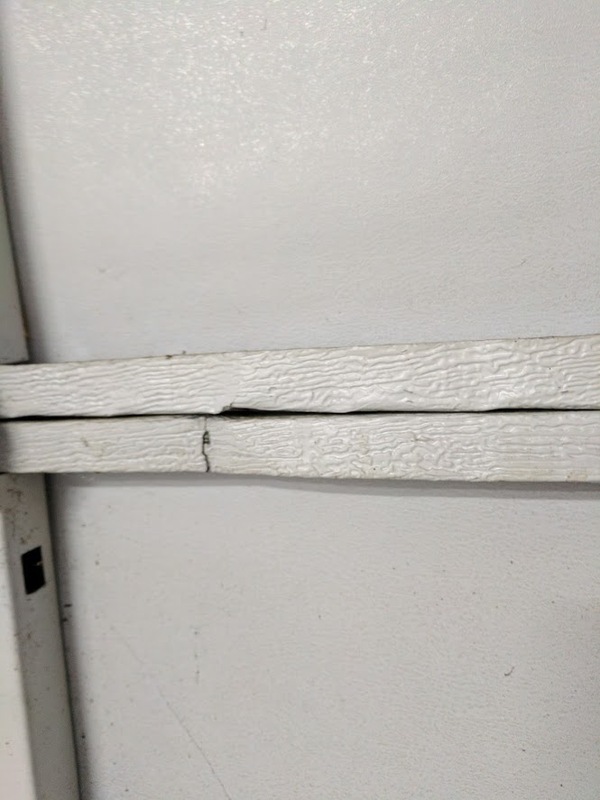 Replacing the entire door can be a big expense. 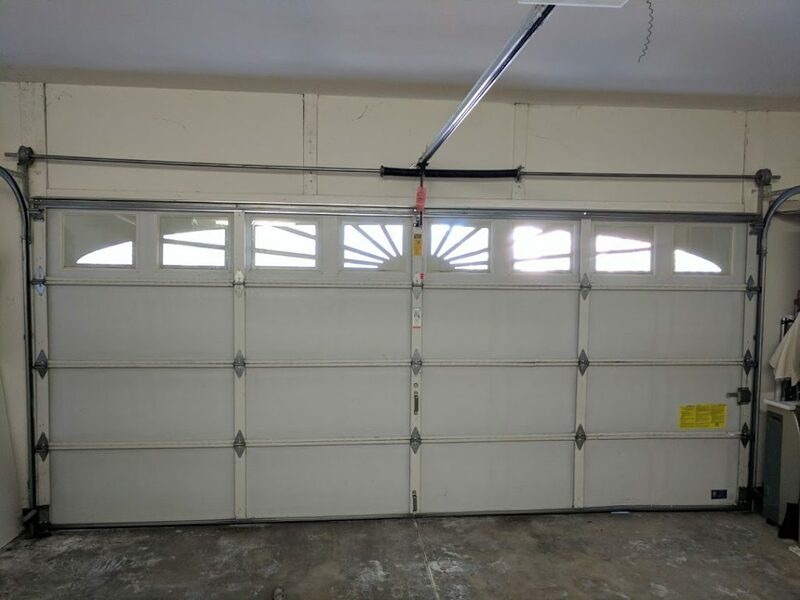 A good quality, affordable garage door isn’t a budget breaker but is the most expensive option if you have a cracked panel on your current garage door. 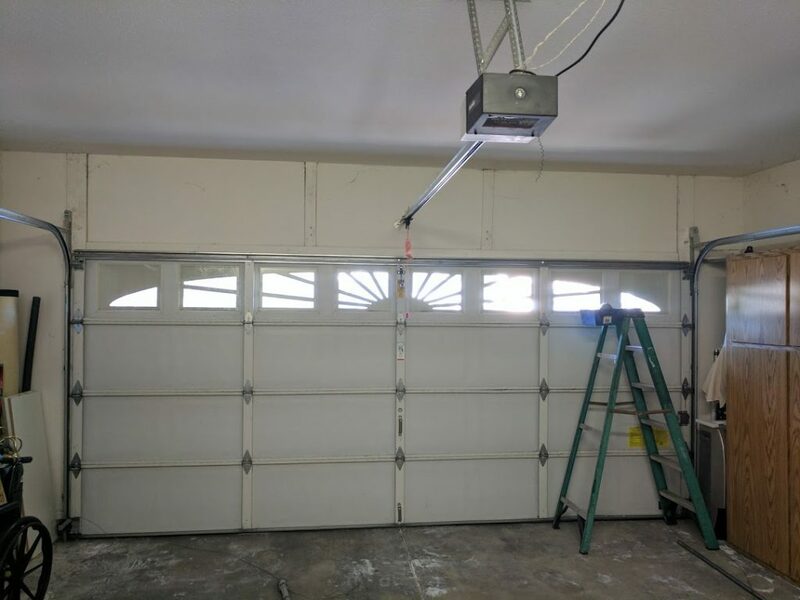 When we were all done, this customer has a new spring system that will help balance and carry the weight of her garage door, and a reinforced panel to prevent further cracking!